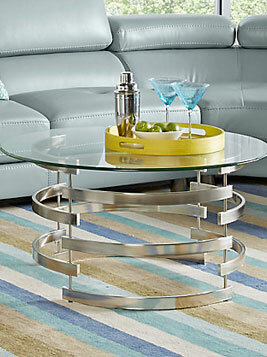 Few pieces of living room furniture vary as much in style, shape, and size as coffee tables. From traditional wooden pieces to upholstered ottomans and trendy ceramic garden stools, the options are continually evolving. 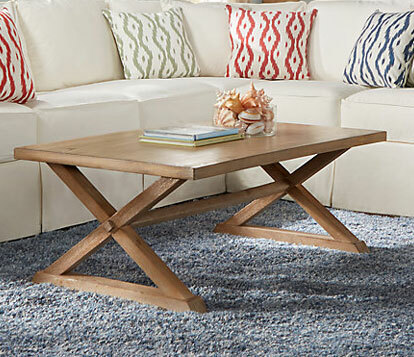 Still, one thing stays the same: finding the coffee table that's perfect for your space is all about complementing your lifestyle and existing furniture. If you're armed with a tape measure and a good sense of your needs, finding the ideal coffee table comes down to three main factors. Ideally, the top of a coffee table should be the same height or one to two inches lower than the top of your sofa's seat cushions. 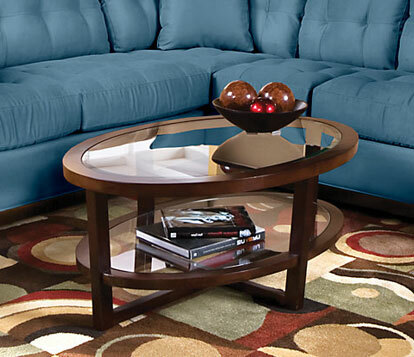 Since most sofas have a seat height of about 17 to 19 inches, standard coffee tables are about 16 to 18 inches tall. For couches that sit further from the ground or for low-profile models, the height of a coffee table should follow suit. Not only does this rule ensure that tables aren't overwhelmingly larger or noticeably smaller than the surrounding furniture, it will also make sure they are easy to use. 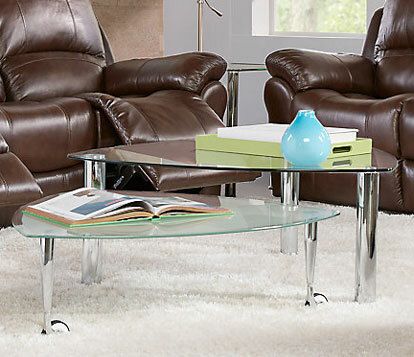 Coffee tables that are too low or high require guests to reach further than is comfortable to retrieve drinks or set down remotes. It can be particularly difficult to eat on a coffee table that is too low for the sofa without trailing crumbs and making a mess. 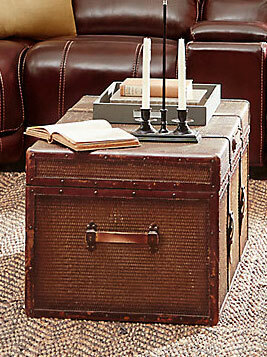 Length and height go hand-in-hand when looking for coffee tables. Just as a piece that's too high will steal attention from other furniture, one that's too long for your couch will overwhelm it and impede movement through the room. 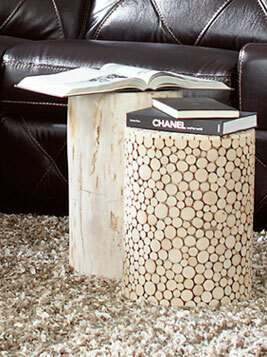 On the other hand, a coffee table that's too short will look like an afterthought. It will also be much harder to use, since those seated on the ends of the sofa may not be able to reach without stretching. To find the sweet spot for coffee table length, shoot for a piece about two-thirds the length of the couch. How you're planning to use your table may also determine which height is ideal for your needs. Those who enjoy putting their feet up may prefer an upholstered or ottoman-style piece. 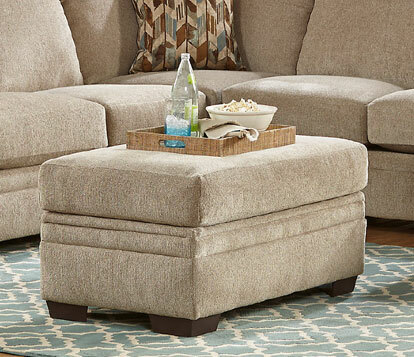 In this case, be sure to choose a coffee table at seat height for a comfortable footrest that aids rather than hinders circulation. If you plan to eat regularly at your coffee table selecting a piece at seat height or slightly higher can be more comfortable and minimize spills. There are also coffee tables with lift tops which can adjust for eating or laptop convenience. If family members have different ideas about how they want to use a coffee table, then nesting tables can be a good compromise. Nesting tables often come in sets of two to four pieces of varying heights that stack neatly underneath the tallest for easy storage. Kids can pull out a smaller table to sit on the floor and color, yet leave the tallest table with all of your decorative tabletop books and accessories mercifully untouched. Even if the coffee table height is right for your space, it may still seem unwieldy when placed too close or far from the sofa. In most rooms, leaving 16 to 18 inches between the edge of the couch and the table leaves plenty of leg room, but is still close enough to easily reach for a drink. If your living room is on the smaller side, reducing that distance to 14 inches can still be comfortable for most people while allowing as much open area as possible for other activities.